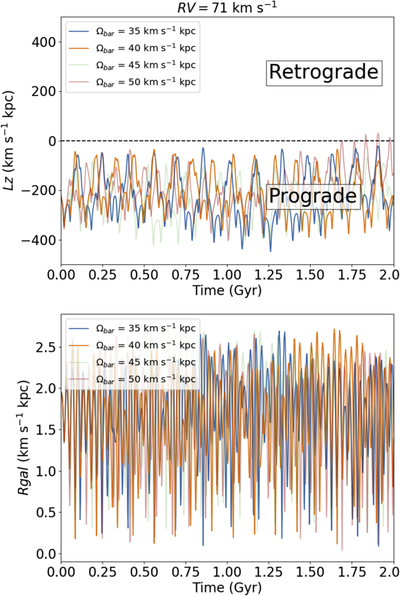 Top panel: time evolution of the vertical component of the angular momentum Lz in km s−1 kpc−1 for the M62 orbital integrations, showing that the orbit remains prograde at all times. 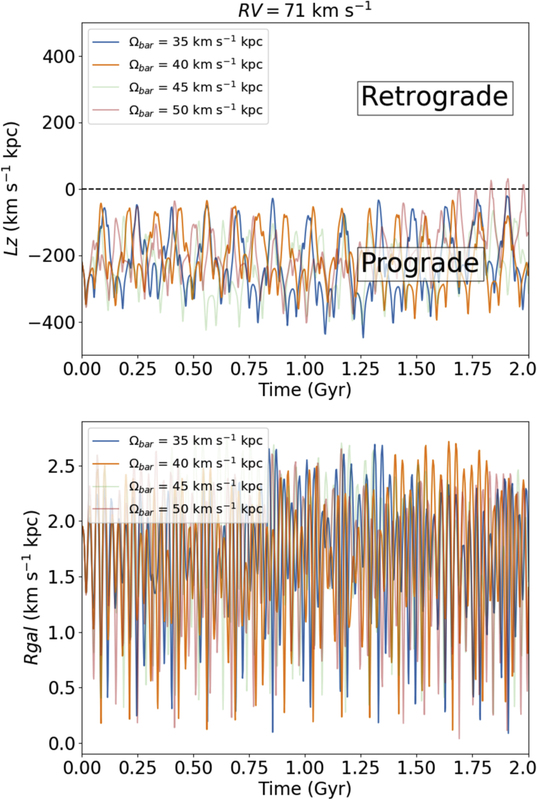 Bottom panel: time evolution of the M62 Galactocentric distance RG in kpc for the orbital simulations with different bar pattern speeds, as labeled. The cluster gets very close to the Galactic center (RG 0.2 kpc) periodically.